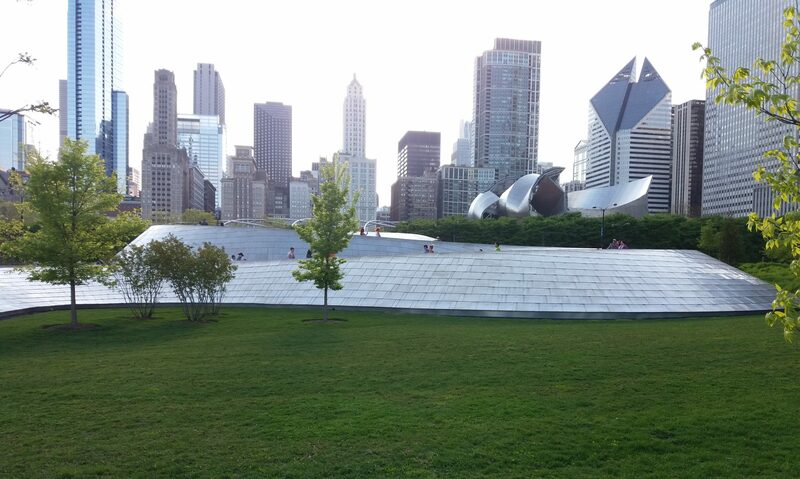 I chose to fly out early Sunday morning to avoid the crowd and havoc that is O’Hare International Airport on a Monday. My co-worker and director decided to do the same, so we flew out west beyond the Mississippi together. We stayed at the Marriott Marquis in the middle of Dreamforce campus and I’m so fortunate to have such a major opportunity for my very first Salesforce Dreamforce conference. 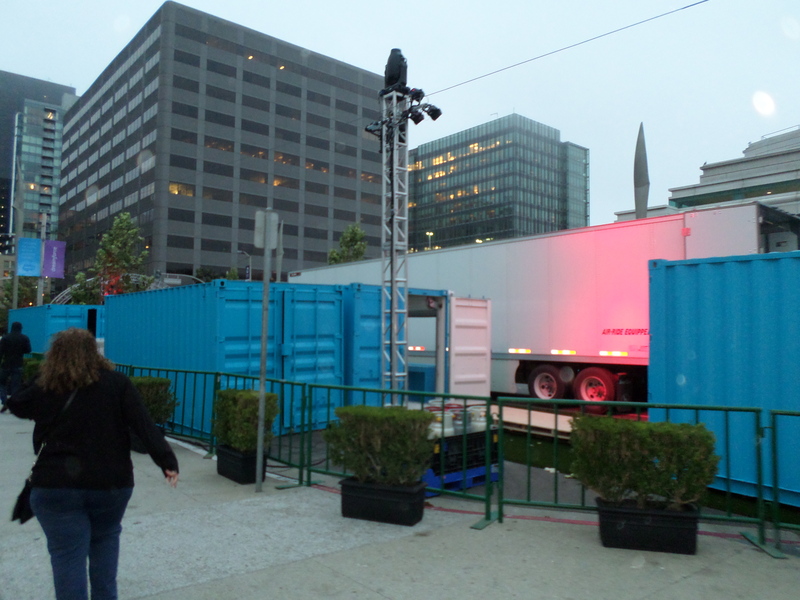 I was able to witness the behind the scenes as well as the before and after of the grandeur of Dreamforce. 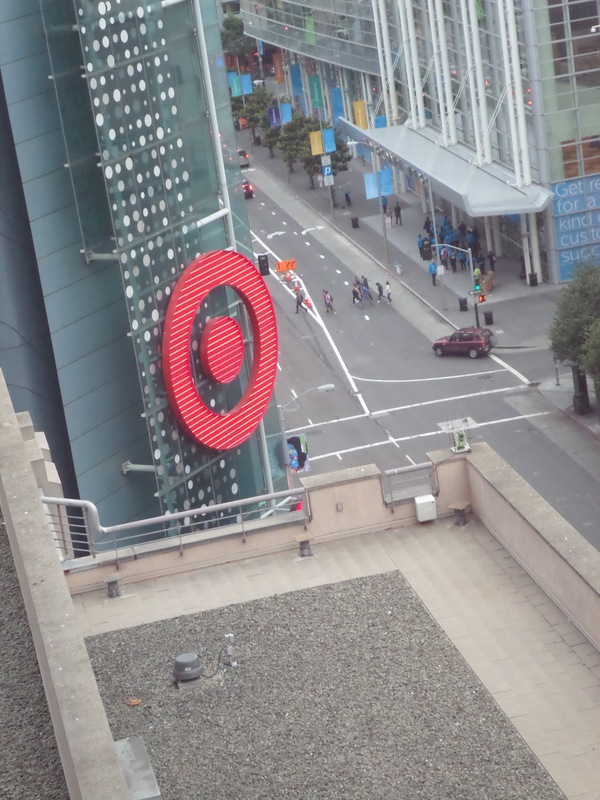 From our room on the twelfth floor, we were able to witness the March of Blue down fourth street towards Moscone West. Continuously throughout the time I was in the room, I would watch the traffic of Blue shirts walking to and from the convention centers. It reminded me of the days before Black Friday in major retail stores, where the employees spent countless hours working hard to prepare for the big day and I felt an overwhelming amount of gratitude for all of the hard work provided by these people clothed in Salesforce Blue. Even the shipping containers are SFDC Blue. 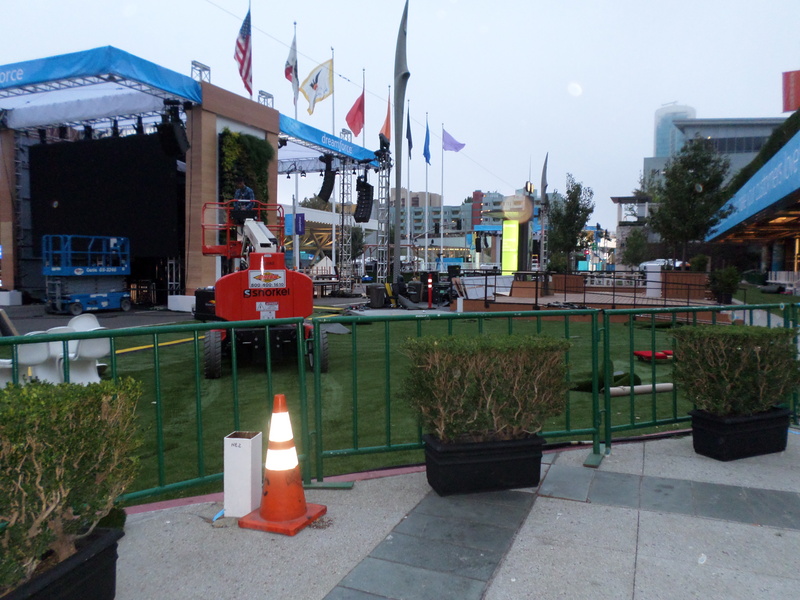 We walked around the planned Dreamforce campus, witnessing the construction of Dreampark that blocked off Howard Street. I thought about the magnitude of such a feat within a major metropolis and how it would piss me off if I had to work in the area because the traffic would be a nightmare. This thought made me consider treading lightly throughout the other areas of San Francisco sans the Dreamforce tags handed out to attendees at registration. I also had a chance to see the street before workers laid out all of the features that would be available, so of course I took pictures. The bright sunny day quickly turned gray with drizzle, but the hard work must continue because time was running short and the vision that was planned had yet to fully appear to this observer. Center Stage area before chairs and beanbags. similar to last year, but I’d watched the Road to Dreamforce and I didn’t recall seeing any clouds overhead in the plans. Meanwhile, they told me stories of the street covered in fake grass with bean bag chairs and all assortment of activity. I walked the outer perimeter of the park thinking about all of the back aching work to get the park ready and the army that would be left to clean-up post Dreamforce. As a woman who has worked hard (many times due to her own stubborn will), I find myself seeing the context of my latest opportunities plastered against my origins. The blue collar minimum wage crew that will pick-up overtime where we can, so we can make it from po to poor upon the U.S. federal guidelines. So as I continue to post about my Dreamforce experience, I ask forgiveness of my audience with regards to automatic bias. Sometimes it’s just hard to break free of chains that have weighed you down for most of your life. See you in my next post….